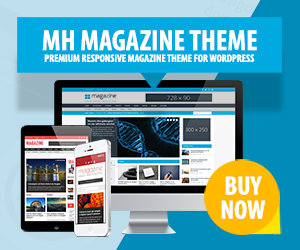 Having your WordPress installation set up, your WordPress theme configured and everything else in place, you can now start to infuse your website or blog with great content. Writing interesting posts, uploading nice images and thus making your site bright and lively. This tutorial will help you to use the WordPress Text Editor properly for writing posts. We will show you where to find useful shortcuts and best practices to utilize the WordPress Text Editor. Using the included text editor in WordPress you may write posts for your website. Let’s take a look at its structure. The WordPress Text Editor is simply a large box with a horizontal toolbar and a white textarea. The toolbar can be modified depending on the mode you are using and just below is a large textarea which you can use to write and edit your text or copy & paste text inside. On the right upper corner you will notice two tabs: Visual and Text. Here you can choose between the two text editor modes and either work in the Visual mode or in the Text (HTML) mode. You will also notice that both modes each show different toolbars. In case you are familiar with HTML, we recommend you to use the Text mode because you may format your text precisely and therefore work very accurate. By using the Visual mode you can format your text in a very easy way by using the toolbar icons without needing HTML knowledge. Besides, you may modify the toolbar in the Visual mode by clicking the square shaped Toggle Toolbar button on the far right to see more or less of the formatting option icons. You may also use the Distraction-free writing mode when you click on the icon below the Visual/Text tabs. We do not recommend to switch the editor modes while writing. Because especially if you are writing in Text mode and switch to Visual and back, the formatting might be out of place – line spaces are gone etc. So you should write in either one of the modes and stick with it. Which WordPress Text Editor mode you are using depends on your personal preference, you can try a little and eventually decide for yourself. When you are using the Visual mode of the WordPress Text Editor, you will see a toolbar with many small icons. These icons are used to format your text in a bunch of different ways. If you hover with your mouse over the icons you can see a small explanation text on what each icon can do. To apply the formatting, you will have to select the whole text, a line of text or just a single word you want to format and then click the specific icon in the toolbar. You may for example make your text bold or italic, cross out words, link or unlink text and many more. If you require more options than provided by the WordPress Text Editor, you can modify it by using a plugin. To find suitable plugins you may search the WordPress Plugin Directory. A quite popular plugin to improve the WordPress Text Editor is TinyMCE Advanced. How to write posts in WordPress? To start writing a new post in WordPress go to Posts in your WordPress dashboard and click on Add New. Now the WordPress Text Editor will pop up and you can basically start writing right away. How to save my writings? While you are writing an article, WordPress regularly autosaves your content. We would still recommend you to hit the Save Draft button regularly just to really make sure everything is saved. What about categories and tags or images? You should select a category for each of the posts you are writing. Inserting images can be done in a pretty intuitive and self-explanatory way in WordPress. Adding tags can help to group your content. How to publish articles/posts? To publish your article, simply click the Publish button. To add changes afterwards, you may still modify your post at any time you like and click the Update button to update your posts.